THE GAME has cast doubt over his plans to retire from the rap game - insisting he would consider making a fourth album if he can get his former mentor DR. DRE on board. In recent months he has repeatedly declared he will quit his music career after the release of his new album LAX this summer. Just last week The Game - admitted he's had enough of life on the road and wants to dedicate more time to family matters. But now the rapper appears to be changing his mind about hanging up the mic - if he can bring together several hip-hop heavyweights from his native Compton, California for the record. He says: "If I do come back with another album, it'll be called The D.O.C. "It'll have 10 songs on it. It won't have titles, it'll just be Chapter One through Ten, and (it stands for) The Diary of Compton. "The only way that I'll do it is if I can get MC Ren, King Tee, Dr. Dre, Ice Cube, because I don't want any features except people who've been through Compton and really made their mark. 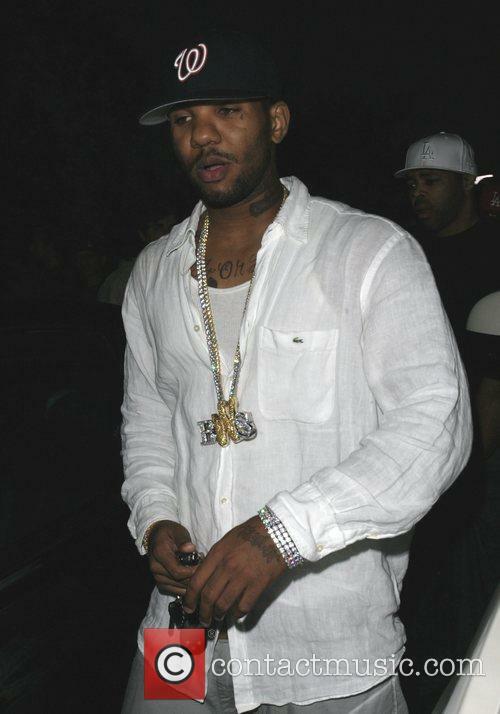 the game a tight rapper he one of my fav. Eating meat is good for you. We have done it for milenia and our simlpe, intuitive very spiritual ancestors knew this innately when they hunted. And even though they killed these animals they showed respect to both the animals and the Great Spirit that provided them. We kill plants to eat them as well. This is all part of the circle of life. Watch Lion King. Even a childrens movie like this relates this very fundamental lesson. BBwbJg This is one awesome blog article.Really looking forward to read more. Keep writing. HMWi8k Very neat post.Really looking forward to read more. Awesome. Pe9D8y Thank you for your article post.Really thank you! Much obliged. LTUDa3 Really informative post.Really looking forward to read more. Really Cool. baOMMO Thanks a lot for the article post.Thanks Again. Great. 3qrEPN Im grateful for the post. Great. eWN1N6 Major thankies for the post.Much thanks again. Awesome. VaB7O6 Thanks a lot for the post.Thanks Again. Fantastic. BXfg61 I am so grateful for your blog.Much thanks again. Want more. nzDg1i Im obliged for the blog article. Much obliged. 7xyMpi Im grateful for the article post. Really Great. q2iVgg wow, awesome blog post. Awesome. cLyfOc I really like and appreciate your blog post.Much thanks again. Really Great. sAJ3H8 Very informative blog post.Really looking forward to read more. Keep writing. pTJcaQ Thanks so much for the article.Thanks Again. Great. mJlpi9 Thanks-a-mundo for the blog post.Really thank you! Want more. Cq1DTM Wow, great article post. Fantastic.